At Google Play Music you can legally download and listen to music for quite affordable prices. Indeed, Google Play Music is Google’s music service that forms part of their Google Play store. It is an online digital music store where you can purchase songs or albums, and this works in much the same way as the iTunes Store and Amazon MP3. It’s now available in 28 countries. If you want to use Google Music Play, you need a Google account. Jamendo is the first European music platform for the promotion and discovery of independent artists offering more than 410,000 MP3 tracks by 30,000 artists from 150 countries. Created in 2005, the website has already over 1,4 million members. 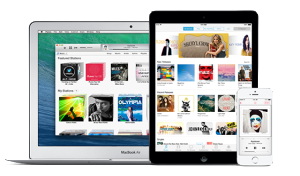 iTunes is a downloadable media player developped by Apple and it’s probably the world’s most popular online music, TV and movie store. It allows many things and notably to purchase music and organize it by creating playlists within your Library. If you have an iPod, iPhone, iPad, it’s a good solution to use it for downloading music.